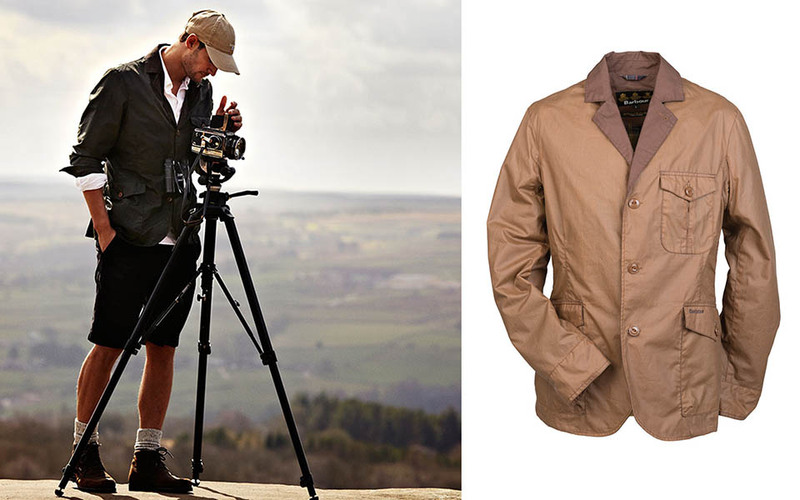 Barbour introduce their 'Photographic Safari' collection this season. 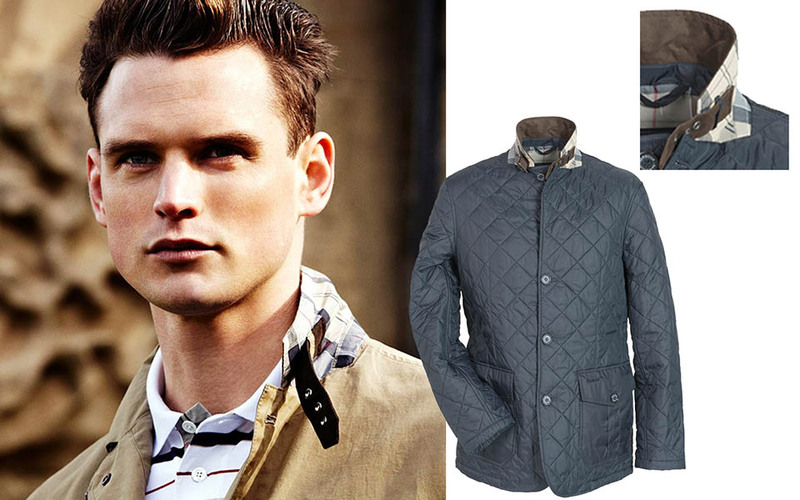 Natural, earthy colours combined with Barbours classic styling creates this seasons hot look. Shown; Barbour Stanley Jacket. 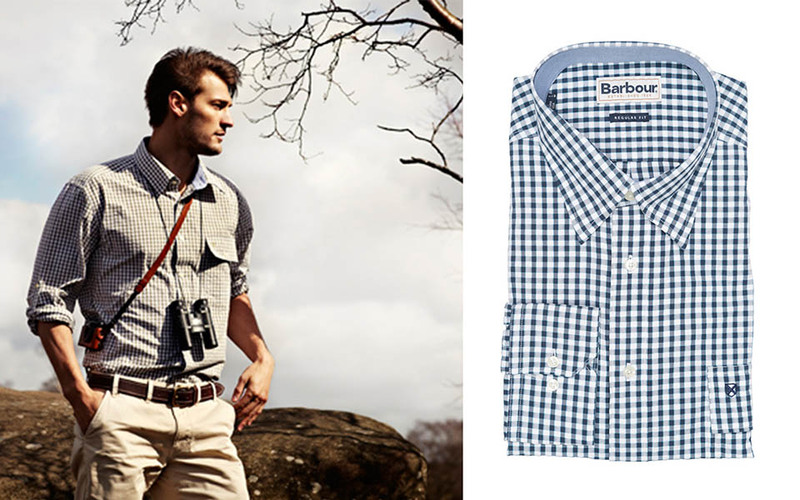 Barbour's Safari theme continues with the Alber Shirt. A cool, natural, checked shirt ideally teamed with Barbour's Slim Essential Chino. 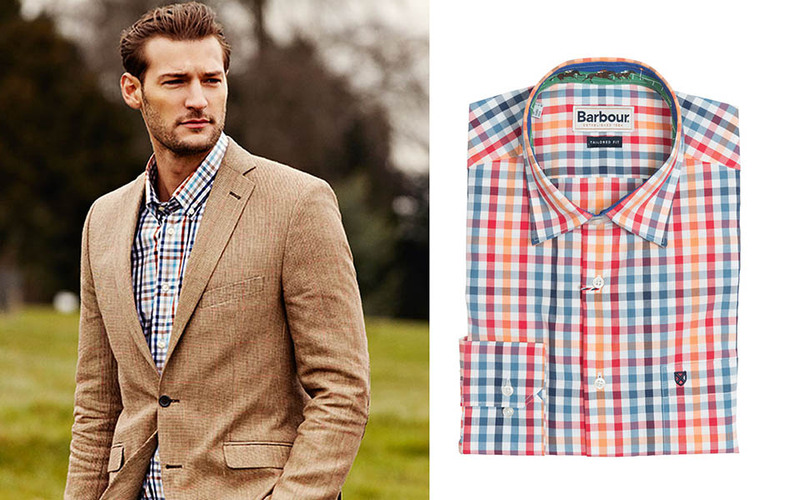 Jazz up a smart/ casual outfit with a bright check shirt, such as the Barbour York. Barbour's Sander Jacket is an ideal, lightweight option for Spring and Summer. Add a feminine touch to complete your outfit. From Barbour's knitwear range, the Hammerly cardigan is a lightweight, elegant choice. 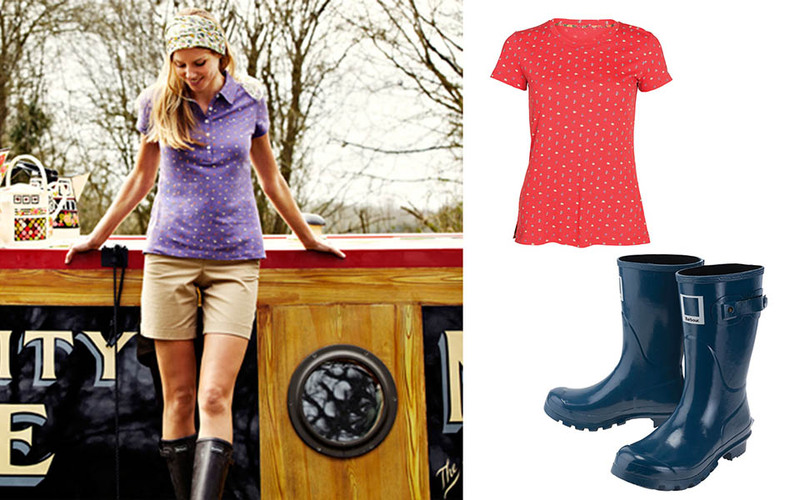 Embrace practical style in Barbour's Pantone wellingtons and add a feminine printed tee shirt, such as Cygnet. 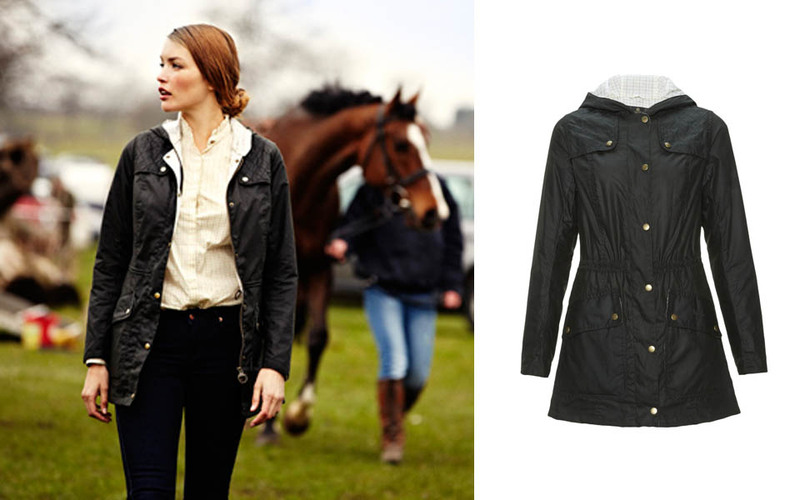 Feminine, elegant lines can be seen in Barbour's Point to Point Collection: designed with both functionaility and style in mind. Below is the Eland Jacket, a hero piece for this collection.